Persons with Alzheimer's disease and their families face special legal and financial needs. Controlling the high costs of caring for a loved one with Alzheimer's — and navigating the emotionally and physically demanding requirements of care-giving, require the assistance of a highly skilled and specialized expert in the field of Alzheimer's Planning. The expert elder law attorneys at The Elder Law Firm PC frequently conduct educational programs to educate families on the financial, legal and other implications of caring for Alzheimer's patients. 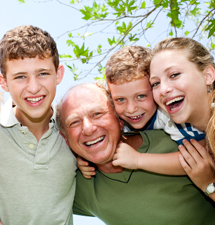 Alzheimer's Planning is a sub-specialty of Elder Law — involving a unique and complex combination of estate planning, long-term care planning, asset protection, geriatric care coordination, Medicaid planning and nursing home planning — requiring specialized knowledge of the legal and financial issues unique to families dealing with this devastating illness. The elder law attorneys at The Elder Law Firm PC focus on the financial and legal issues surrounding Alzheimer's disease. The firm’s Alzheimer's Planning Team — comprised of a geriatric care manager, various paralegals and asset protection specialists — provide life-long guidance, management and oversight on vital issues such as medical and nursing care, housing options, financial management, estate planning, asset protection and Medicaid eligibility. One of the primary goals of Alzheimer's Planning is to ensure the highest possible level of personal dignity and quality care for the remaining lifetime of the Alzheimer's patient. To achieve this goal, it is often necessary to protect assets as quickly as possible, so that if the Alzheimer's patient must enter a nursing home, Medicaid can be obtained as soon as possible. Funds protected through Alzheimer's Planning can be used to provide the Alzheimer's patient with an enhanced level of care and better quality of life while in the nursing home and receiving Medicaid benefits. The National Academy of Elder Law Attorneys (NAELA) membership consists of attorneys in the private and public sectors that deal with legal issues affecting seniors and people with disabilities. Members include judges, professors of law and law students. Founded in 1987, this professional association of attorneys remains dedicated to improving the quality of legal services provided to seniors and people with special needs. NAELA focuses primarily on education and sponsors continuing legal education programs on elder law for attorneys throughout the year — while also offer publications and educational materials to members on a wide range of elder law topics. The Academy seeks to provide support to other organizations serving seniors and people with disabilities. NAELA also examines and advocates on public policy issues facing seniors and people with special needs, but does not provide direct legal services. 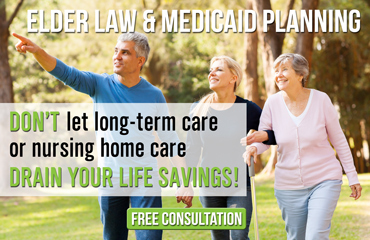 Michigan Elder Law Attorneys at The Elder Law Firm PC provide assistance in protecting your assets and protecting your family through Medicaid, Alzheimer’s and estate planning. Contact us by calling 616.840.3754 or by requesting a free consultation online here.